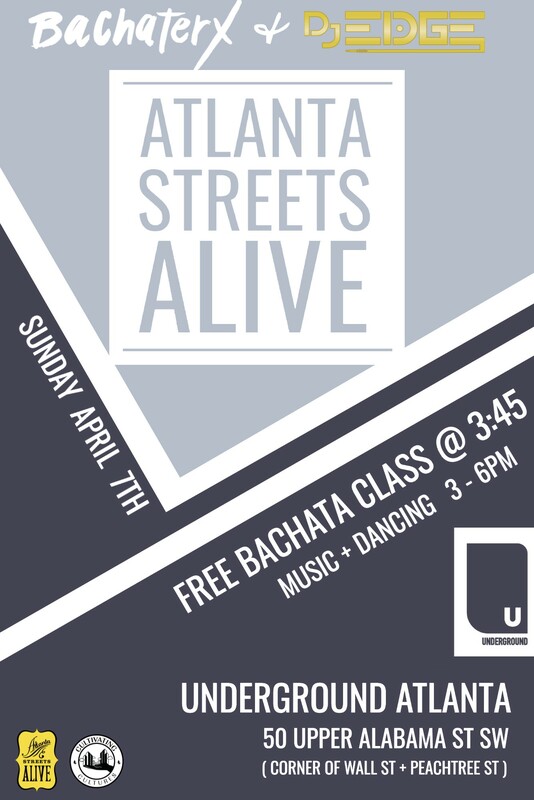 Free Bachata class hosted by Bachaterx with music provided by DJ Edge at the corner of Wall Street & Peachtree Street at Underground Atlanta, Sunday April 7th, 3:00 PM – 6:00 PM. Fulton County Arts & Culture Dept. will be providing beverages & snacks. See you there!